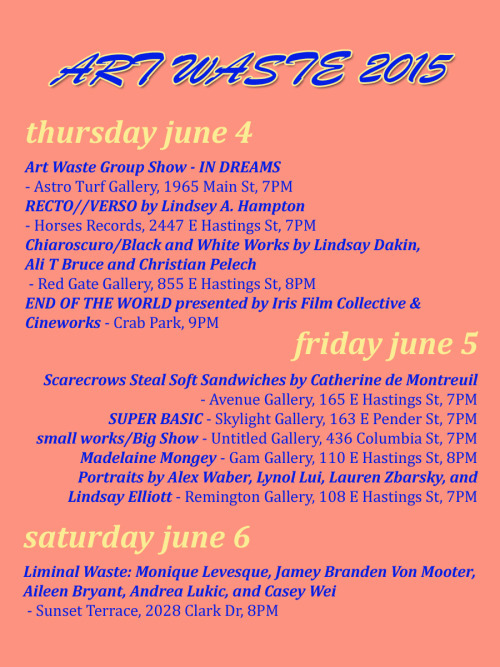 The ART WASTE GROUP SHOW 2015 // IN DREAMS will be open this weekend from 4-7pm Friday, Saturday and Sunday (June 5-8) at Astro Turf Gallery, 1965 Main Street, Vancouver, Canada. I have new work in this one. The show is up for two weeks. 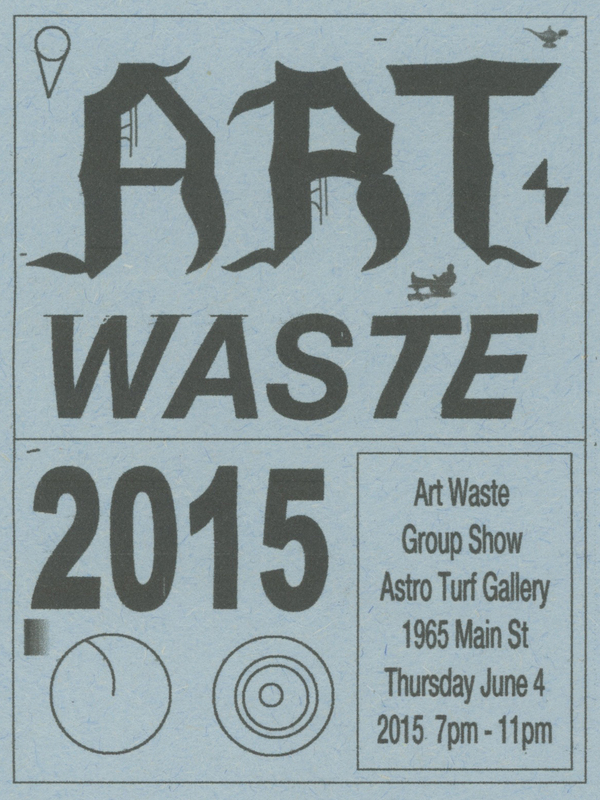 For further gallery hours check the Facebook event or email astroturfgallery@gmail.com. This entry was posted in News and tagged art waste, exhibition, group show, music waste, vancouver. Bookmark the permalink.